Children make up half of the world’s refugees and over 40 per cent of the world’s asylum seekers. However, children are largely invisible in historical and contemporary refugee law. Furthermore, there has been very limited interaction between the burgeoning children’s rights framework, in particular the Convention on the Rights of the Child (CRC), and the 1951 Convention relating to the Status of Refugees (Refugee Convention). 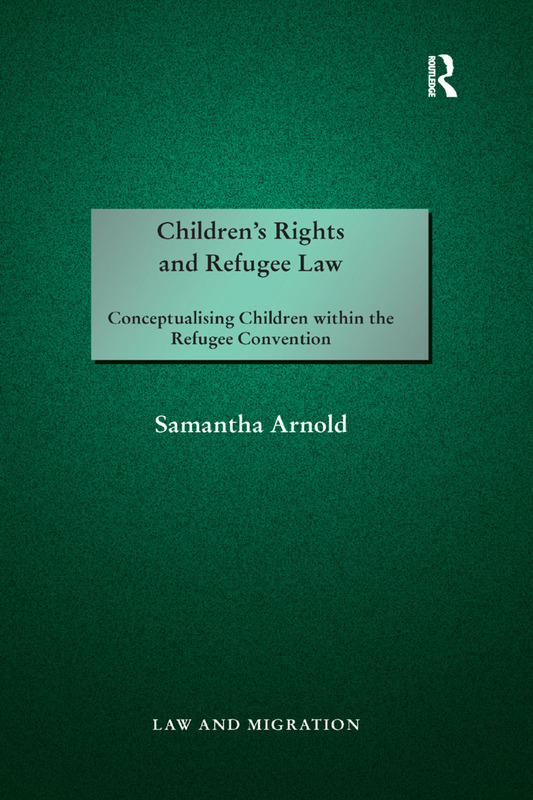 This book explores the possibility of a children’s rights approach to the interpretation of the Refugee Convention and within that what such an approach might look like. In order to construct a children’s rights approach, the conceptualisations of children outside the legal discipline, within international children’s rights law and then within refugee law and refugee discourse are analysed. The approach taken is socio-legal and comparative in nature and the suitability of the Refugee Convention as a framework for the interpretation of child claims is examined. The book analyses to what extent the Refugee Convention is capable of dealing with claims from children based on the modern conceptualisation of children, which is underscored by two competing ideologies: the child as a vulnerable object in law to be protected and the child as subject with rights and the capacity to exercise their agency. The influence each regime has had on the other is also analysed. The work discusses how a children’s rights approach might improve outcomes for child applicants. The book makes an original contribution to child refugee discourse and as such will be an invaluable resource for academics, researchers and policymakers working in the areas of migration and asylum law, children’s rights and international human rights law. Children’s rights and refugee law – an indirect link? Chapter 5 A children’s rights approach to refugee law? Samantha Arnold is a Post-Doctoral Research Fellow within the Irish National Contact Point of the European Migration Network based in the Economic and Social Research Institute and an Adjunct Assistant Professor in the School of Law at Trinity College Dublin. Samantha completed her PhD in the School of Law, Trinity College Dublin. Her research interests include refugee and immigration law and policy and children’s rights. She has published on these and related areas.